55 Ways to Enhance Your Content In 2017 | Jody Nimetz Co. 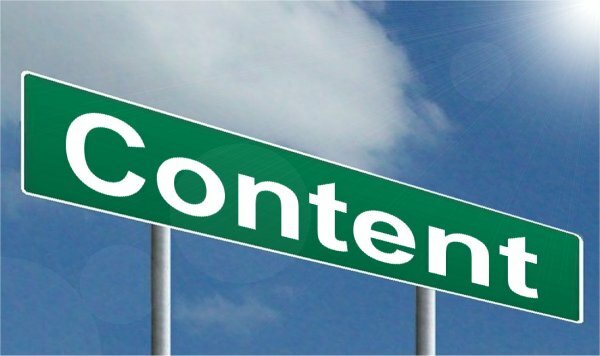 So content marketing is not going away; in fact, it’s growing. Looking at what some of the main challenges are for content marketers, I thought that a post about different options to enhance the content on your Web properties might be of value. Some of these options can be used regardless of the type of web site that you deploy while other options are more specific for a certain type of site like an ecommerce site or sites within specific industries. Nevertheless, these options can help you enhance your content so it’s more engaging to your desired audience. Enhance your About Us section – this is a great opportunity to promote your brand and to describe the history of your organization. Don’t waste this opportunity. Quite often the About Us page on your website can be one of the highest traffic driving pages. You will want to ensure that your messaging on this page is updated and fresh each year. Think Mobile – in this day and age people are always on the go. The World has gotten to be so busy and plugged in all of the time. Work on preparing content for mobile with content that is easy to access, easy to find and always available. Avoid placing content behind a login – how many of you are still doing this? C’mon raise your hand, don’t be shy. I still see so many websites that do this. Why do you feel the need to restrict your content to be behind a login? Do you really think that users cannot or will not find that content elsewhere on the Web? Google has trillions and trillions of pages indexed, chances are that content is most likely already available somewhere else. Avoid placing useful content behind login. You want people to champion your content and link to your content and share your content. Think that they are going to do that when it is behind a login? Think again. Produce a list of top content pieces – whether it is a list of your top 10 blog posts for 2016 or your top 10 articles on <insert topic here>, people will have an opportunity to re-engage with this content. The net impact could be additional social engagement (Shares, Likes, Retweets), more feed subscribers or more repeat visitors. Incorporate video – posts with video tend to get as much as three times as more inbound links than content without. Of course it takes a bit more effort to create video content, but it is doable and providing that your video content is short and easy to consume, users may tend to better engage with this form of content. Blog, blog, blog – in 2016 if you don’t have a blog, you are missing a great opportunity to populate content quickly on your site. The difficulty in producing a blog is in the resources required to maintain and contribute to it. However, blogs can be well received by your audience and can be a great mechanism for building quality links to your site. Update your existing content with additional new, fresh content – perhaps you have some older pages that have not been updated in a while. Consider adding some fresh content to revive some of your stale content. Re-purpose your existing content. Build out your testimonials – this is a great way to build trust with your audience and promote your brand at the same time. Update the testimonial content on your website and let your customers communicate their experience with your products, services and brand. share both the good and the bad. An amped up testimonial can go a long way in building credibility and trust. Interview industry gurus – interview well known resources from your industry to get their thoughts on industry topics or breaking news from your field. This can also be a great way to acquire high quality, industry related links to your website. Incorporate rich markup within your content – machine learning is not going away anytime soon. Any opportunity that you have to better communicate your content with the bots, do it. This may mean marking up your content with rich markup such as schema markup or open graph protocol to help educate the machines on the topicality of your page. Produce some Research – share whitepapers on research that you have completed. This type of content can be great for lead gen and generate a lot of repeat traffic to your site. While the majority of this content will be in PDF format, you will want to create an HTML landing page to convey some of the key findings. Create a glossary of terms– educational content is always of use. Just make sure that your glossary features content that is unique and not simply copied from some other web property that has existed for a decade. Create self-serve content – almost like an enhanced FAQ section work on creating self serve content for your audience so that they can find the information easier and quicker. Enhance your “team” content – most organizations have a page or pages that feature their executive or management team. Why not be creative with this and have each team member submit their top 5 favorite websites, their top 10 songs or top 5 books? This can be highly engaging content. At a previous employer, we used to share everyone’s Top 10 Songs lists. Clients thought that this was great and always commented on this. Not only could they put a face to their agency but they learned a little about the people they were working with. Add User Guides – people love “how-to” information so no matter what your product or service is, there is always an opportunity to instruct people on how to use it. See item #41 for more. Create a “Customer of the Month” page – almost a bit like a “glorified” testimonial, consider sharing positive stories about your “customer or client of the month”. Build out your Features/Benefits Content – provide additional feature and benefit information for your products and services that will be of use to your website visitors. Prepare Content for Social Consumption – this means creating content for social avenues whether that be 140 character tweet on Twitter, a couple of images on Instagram or Interest or a dedicated article on LinkedIn. As part of your content strategy you should have a strategy for the content that you want to communicate socially.